Even though we posted an internal document that shows Rogers will be launching the Android-powered Sony Xperia X10 Mini and the X10 Mini Pro… it’s always good to get a bit more confirmation. We’ve been informed that this is going to be available sometime this month on the following 3-year price plans: X10 Mini for $49.99 and the X10 Mini Pro for $69.99. 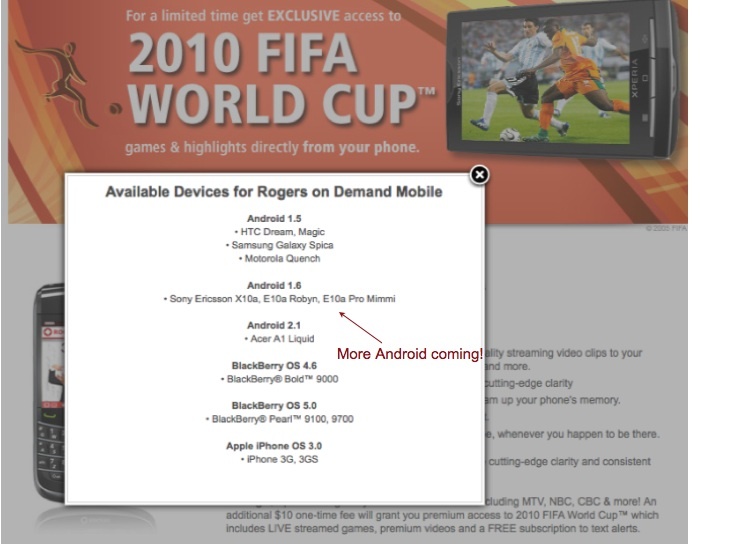 Further confirmation actually now appears on the Rogers site. If you go to the Rogers on Demand Mobile section and click on compatible devices you’ll see 12 devices listed and two of them are “E10a Robyn, E10a Pro Mimmi”. We’ll follow up shortly with launch dates and more pricing.